Government of india is planning to lunch "Bharat Bill Payments System", a digital way for bill payments all over india. Bharat Bill Payments System (BBPS) is upcoming (single) online portal from where you can pay all bills (gas, internet, electricity, water bill, house bill, mobile bill etc). This portal will be developed by National Payments Corporation of India (NPCI). By help of this Bill payment system, you don't need to find different websites or even go to offices, just visit single portal you can pay all bills. Why we need Bharat Bill Payments System? As per current calculation, in india, there are 3080 crore bills are generating Rs.6,20,000 crores monthly in top 20 cities of india. And by 2019, it will be Rs.9,30,000 crores, so to handle such large customer base, RBI in association with NPCI, is creating a big centralized bill payments system. As a part of Digital India campaign, India to have another website portal from Government of India which will surely help you to bill payment (for which you do lot of google to find official website). Under BBPS, you will be accessing all the service you are using on day to day. How Bharat Bill Payments System will work? 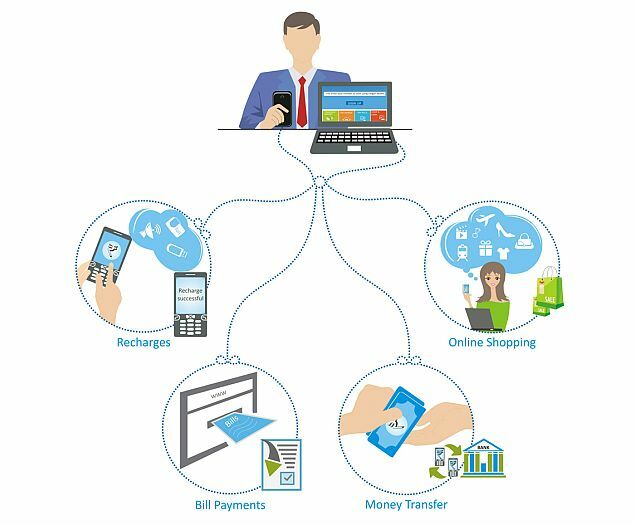 Bharat Bill Payments System will have system which will connect all networks, service provides,services and almost everything for which one customer needs to pay when paying bills. Services like DTH, Electricity Bills, Property Tax, Water bill, Gas Bill, Mobile Bill. Apart from this day to day service, RBI is also working on covering services like school fee, university fee, municipality taxes, mutual funds, insurance premiums in BBPS. To use BBPS, customer needs to register with portal, once they registered with BBPS, they will given a customer ID which will be used to pay all service. Just like Aadhar card links you will your Gas connection and bank account for gas subsidy, this single Customer ID will connected to all the service you are using, and will be used to pay all your bills. For this service, payment companies need to take license from BBPS, which process is ongoing. RBI has started receiving applications for payment license for BBPS. You can pay your bills from anywhere, anytime. Time saving, no need to stand in long queue. You can pay your bills via debit card, credit cards, net banking, payment banks points. Save Paper, time and Black Money. Apart from all the above, BBPS will have Fraud monitoring system with risk mitigation systems for smooth and secure online transactions. We will update you with the portal url once it is announced. Till, stay with us and keep reading India Shine.